In 1962, the National Basketball Association, stepchild to the college game, was searching for its identity. Its teams were mostly white, the number of black players limited by an unspoken quota. Games were played in drafty, half-filled arenas, and the players traveled on buses and trains, telling tall tales, playing cards, and sometimes reading Joyce. Into this scene stepped the unprecedented Wilt Chamberlain: strong and quick-witted, voluble and enigmatic, a seven-footer who played with a colossal will and a dancer’s grace. That strength, will, grace, and mystery were never more in focus than on March 2, 1962. Pomerantz tracked down Knicks and Philadelphia Warriors, fans, journalists, team officials, other NBA stars of the era, and basketball historians, conducting more than 250 interviews in all, to recreate in painstaking detail the game that announced the Dipper’s greatness. He brings us to Hershey, Pennsylvania, a sweet-seeming model of the gentle, homogeneous small-town America that was fast becoming anachronistic. 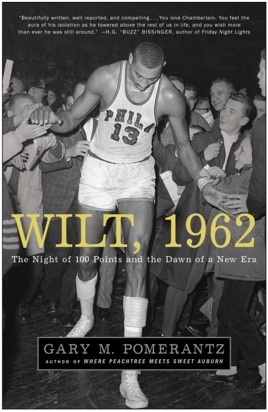 We see the fans and players, alternately fascinated and confused by Wilt, drawn anxiously into the spectacle. 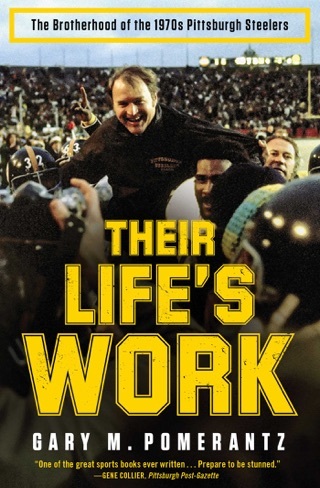 Pomerantz portrays the other legendary figures in this story: the Warriors’ elegant coach Frank McGuire; the beloved, if rumpled, team owner Eddie Gottlieb; and the irreverent p.a. announcer Dave “the Zink” Zinkoff, who handed out free salamis courtside. On March 2, 1962, in a drafty, half-full, 8,000-seat arena in Hershey, Pa., Wilt Chamberlain (aka the Big Dipper) scored a stunning 100 points in a single game against the New York Knicks-a watershed moment for the fledgling NBA. Drawing on interviews he conducted with various team members, fans, journalists and referees, Pomerantz (Where Peachtree Meets Sweet Auburn) recreates this historic night in startling detail, bringing everyone from Chamberlain, to the Knicks' defensive player Darrall Imhoff, to the caustic journalist Jack Kiser to vivid life. For Pomerantz, Chamberlain and Imhoff "symbolized pro basketball's accelerating generational shift writ large: the agile black athlete, swift and strong, moving freely against a white opponent who, though young, earnest, and determined, seemed... a handsome blond shrine to a bygone era when all of the players were white." 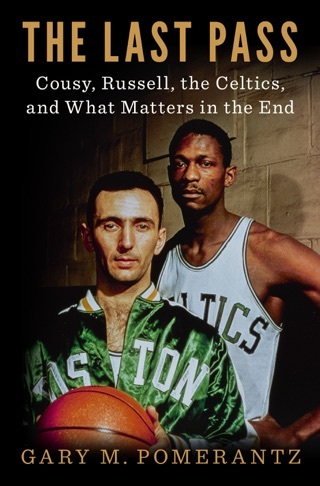 Pomerantz explores the racial tension of the era through Chamberlain's experiences, fluidly transitioning from the action on the court to moments in the player's life and then back again. In one instance, he's finger-rolling a ball into the basket, and in the next, he's at Big Wilt's Smalls Paradise, the Harlem nightclub he part-owned, talking about how many good African-Americans were left out of the league due to its racial quotas. 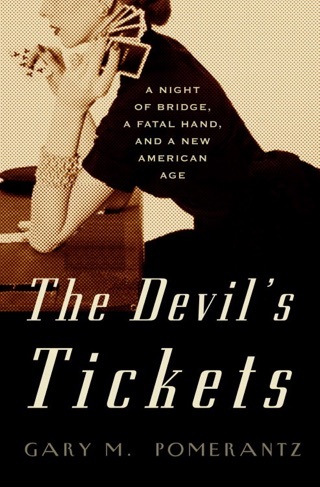 Throughout this surprisingly touching narrative, Pomerantz does a remarkable job of making Chamberlain, the world he inhabited and that mythic night shine all over again. 8-page b&w photo insert.